The MiniTest 70E is a pocket sized, versatile and accurate thickness gauge with built-in sensor. 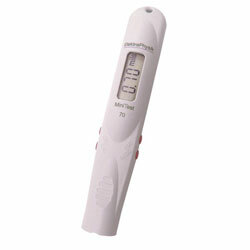 It is a lightweight and handy coating thickness gauge in a pencil format with a built-in sensor. Especially designed for easy operation, this gauge is the ideal tool to measure any non-magnetic coatings on steel and/or any insulating layers on non-ferrous metals. It features user-selected units of mils or microns. The spring-mounted sensors are equipped with wear-resistant sensor poles and ensure durability even when used for measurements on rough and abrasive substrates. 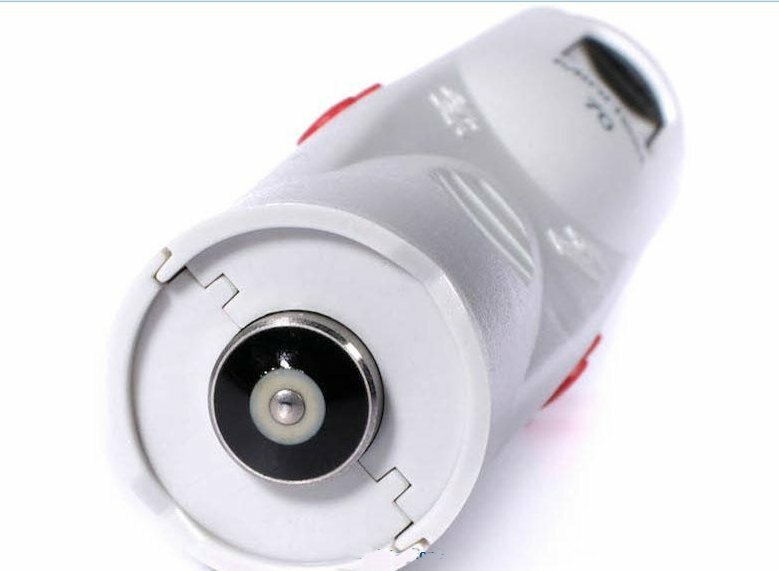 Designed for measurement on non-ferrous metals can measure insulating coatings such as paint, enamels, anodic films, etc, on non-ferrous metal bases such as aluminium, copper, brass, etc. And for measurement on ferrous metals, non-magnetic coatings such as paint, enamels, chrome, etc., can be measured on ferro-magnetic bases such as constructional steel, car bodies, etc. 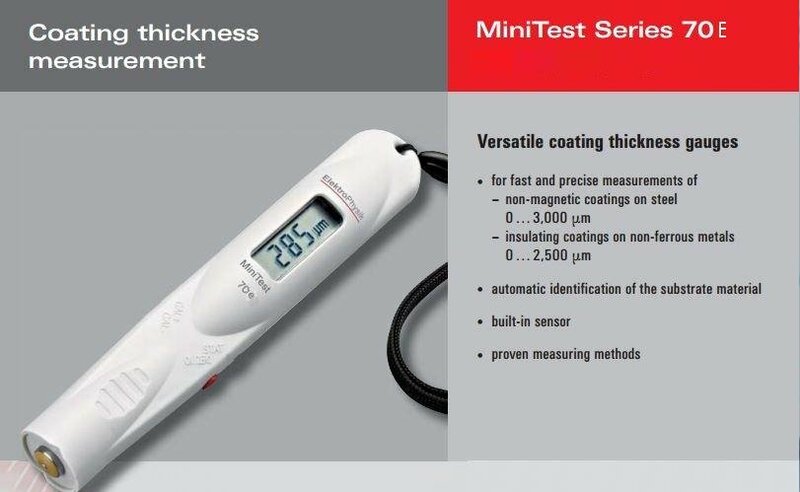 The MiniTest 70E Series provides accurate, non-destructive coating measurements on steel and non-ferrous metals. It's equipped with a dual sensor for automatic identification of the substrate. According to the substrate, it adjusts to the appropriate measuring principle: magnetic induction or eddy currents principle. Measuring range 0 to 3 mm on steel substrates and 0 to 2.5 mm on non-ferrous metals.